Industry professionals wanting to use John's music we have a special web page and music player designed just for you to easily and instantly listen to John's music. Please visit this page Music For Film & TV which you can also find in the main Music menu above. 9 track album copyright © ℗ 2016. Award winning songwriter John Harley Weston's 3rd independent album 'Music Man' (2016) is a shining example of guitar based rock, twisting blues, roots and soul to deliver his most personal songs yet. It's produced by award winning engineer/producer Sandy Jones of Foundry Music Lab who's creative arrangements help make a strong, memorable, cohesive album. Available from major online download sites now. For more information about the album click 'here'. Beginning with Motown tinged 'Telling Me Lies', a relatable alcohol infused tale of love and loss at the local pub, the libations continue on 'Go Hard Or Go Home', conjuring a Stealer's Wheel/T-Rex influence to relate a personal struggle with one's alter ego who loves the booze. On 'When Tomorrow Comes' we soar above love's battlefield as Weston shoots soulful falsetto vocals flanked by Travis style jangly guitars. 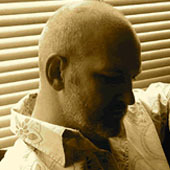 Paul Rodger's influence is evident on 'Better Luck', an observant tale of life on the streets of Glasgow, inspired by Ross Kemp's TV show, Extreme World. We get up close and personal on the slow burn sad yet enduring, 'Music Man', a vividly honest report of the songwriter's journey through life. Then we set sail on 'River Of Hope', about boat refugees, invoking a deep south stomp with wailing slide guitar, ala Dylan or Waits. Social awareness broadens with Hall and Oates/John Meyer styled, 'Why Should I Care', a self-deprecating guilt trip fuelled by not being able to do enough to help the less fortunate despite or because of media saturation. The tone lightens on the reggae-feel road song, 'Byron Bay Blues', with shades of Matchbox 20 and Santana, as we travel vicariously in Weston's old Nissan Bluebird to a music festival, On the haunting epic finale, 'Ghost Of Modern Times', discordant strings drift over ethereal vocals, reminiscent of 60's avant-garde songwriter Scott Walker's, 'It's Raining Today', taking us through fear and insomnia to a Led Zeppelin-esque crescendo. Overall, 'Music Man' feels like a real album, standing on solid songwriting ground with memorable and noteworthy lyrics, arrangements and performances. 10 track album © P 2008. 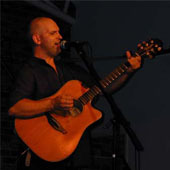 Acoustic guitar based rock seasoned with country, folk and blues. After winning national and international accolades, Weston's latest effort continues to deliver, from the cajun-flavoured 'Whatever Makes You Happy' to the Sheryl Crowesque 'Believe In Yourself' on to the epic self-discovery song 'Welcome Back To Reality'. It continues with 'Let Your Life Begin', revealing shades of Paul Rodgers. Rootstime Europe says Weston's only cover version on the album, 'Waltzing Matilda', '...should be added to the gallery of the greatest'. The music works on screen too, with songs played on Channel 9's 'The Voice Australia. Listen to the album below. 13 track album © P 2004. 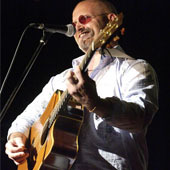 Includes 'Last Days Of Summer' which won the Australian National Songwriting Contest 2005 (rock category) and 'Brothers and Sisters' which received highest level Honourable Mention in 2006 Billboard World Songwriting Contest. 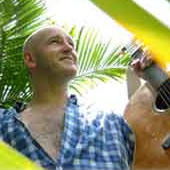 Last Days Of Summer also scored in the top 20 at Unisong World Songwriting Contest 2005...the competition that gave birth to songwriters Jimmy Buffet, Mick Fleetwood, Burt Bacharach and Bonnie Raitt. Listen to the album below. 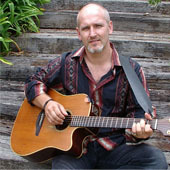 CD single written by John Harley Weston and Sandy Jones for the mighty Brisbane Lions AFL team (Aussie rules football). Released via Festival/Mushroom records. © 1999 John Harley Weston and P 1999 Festival Records Fido. All Rights Reserved. No longer for sale. John's song 'Last Days Of Summer' (co-written by Tony Beard) from the album Hope Harbour is featured on this cool compilation album highlighting quality recordings of Beaudesert Shire artists. Released by Beau FM radio (Feb/Mar 2005) in conjunction with CBF, distributed by AMRAP to over 300 community radio stations Australia-wide. Call your local community station and request the song. Two versions of the same song' I Believe In Magic'. 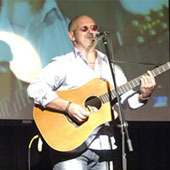 A pop version followed by rock version, both written, produced and performed by John Harley Weston. © P 2009 All Rights Reserved. © P 2011 Living The Dream (words by Chris Miles & music and vocals by John Harley Weston. © P 2007 A compilation of some live acoustic tunes - including Joni Mitchell's 'Both Sides Now', Sam Cooke's 'Wonderful World', Paul Kelly's 'To Her Door', The Beatles 'Blackbird' and CCR's 'Have You Ever Seen The Rain'. All with John Harley Weston's original sound.